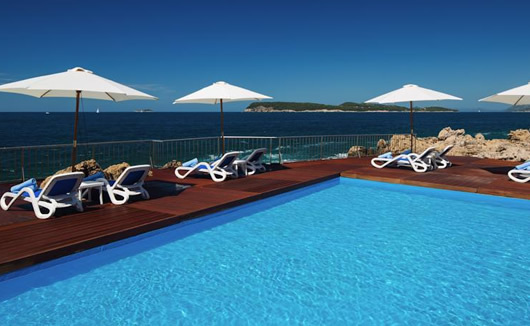 This lavish five star hotel has left no stone unturned in bringing its guests luxury and comfort to their stay in Dubrovnik. 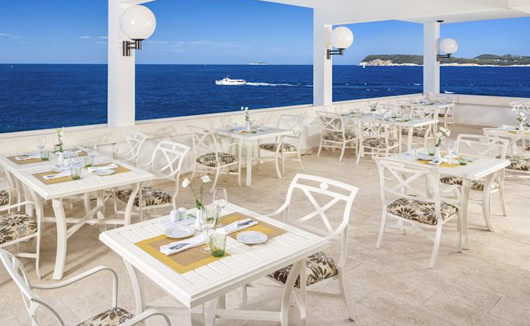 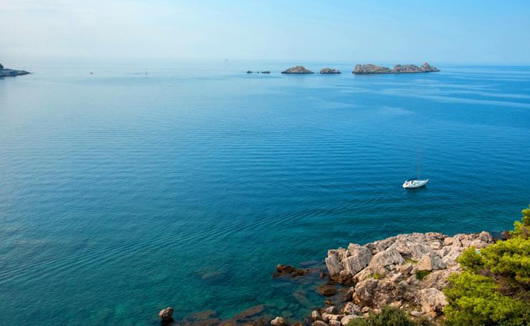 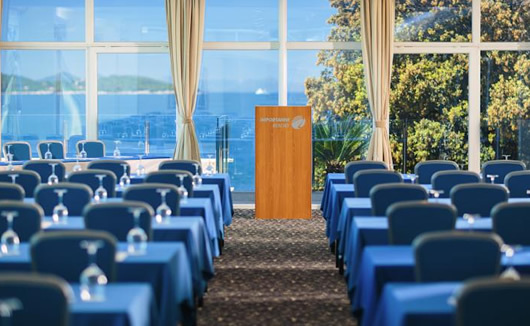 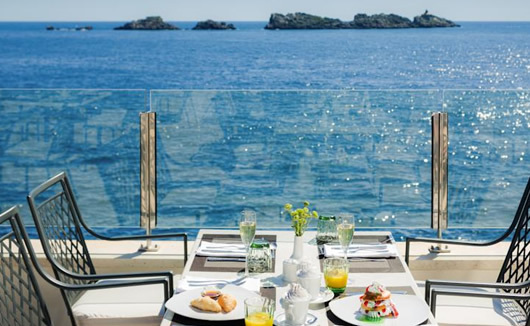 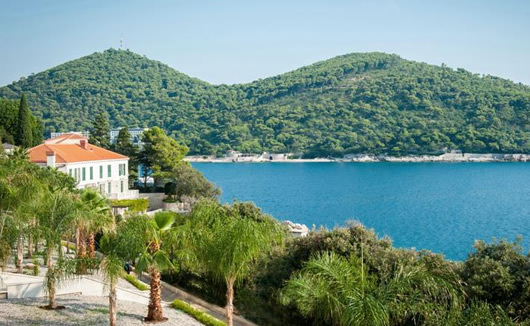 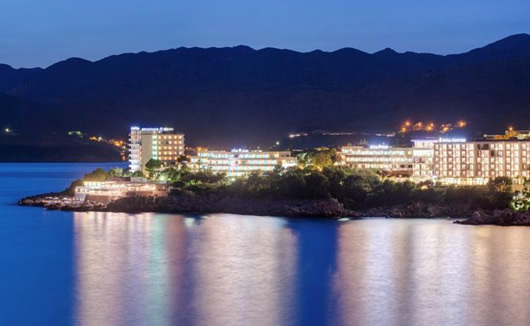 With mind-blowingly beautiful views of the Adriatic Sea and direct access to the sea from the hotel terrace, the Royal Palm Hotel is the perfect amalgamation of two different worlds; a relaxing beach retreat with 5-star service or the hustle and bustle of Dubrovnik’s tourist hot spots which are all just minutes away in a cab. 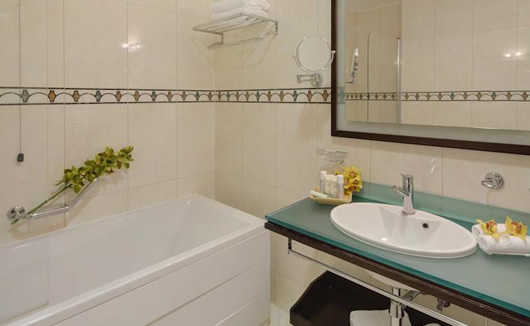 The hotel is located just 3 miles from the famous Copacabana Beach, the Franciscan Monastery and Onofrio’s Fountain – so there’s plenty to do and see around the area. 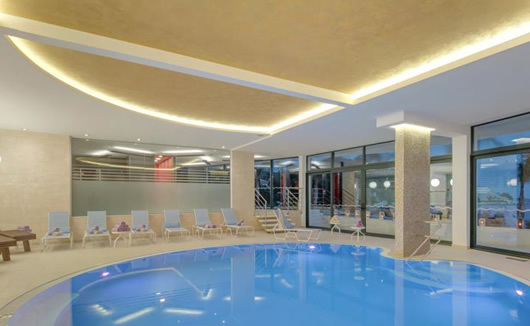 The Royal Palm Hotel features 2 saltwater swimming pool and 2 freshwater pools, an on-site full service spa centre with a specialist Turkish Hammam, a choice of 3 restaurants plus a fabulous beach bar and free WiFi for all guests. 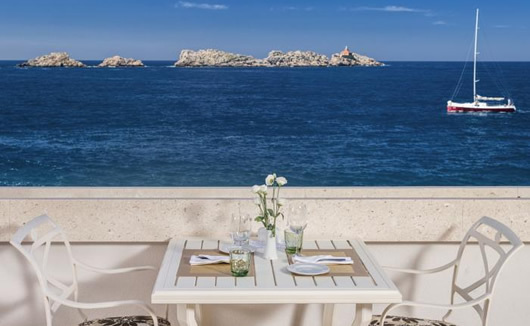 There are only 25 spacious suites in this luxury boutique hotel. 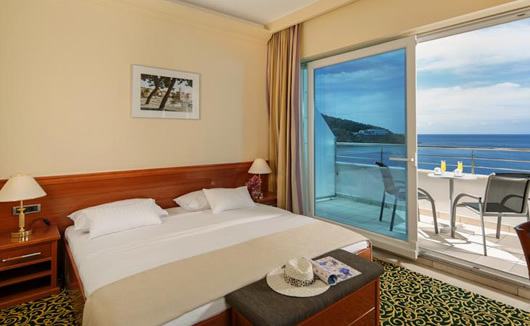 All rooms have been designed to reflect easy-going Mediterranean style with a sophisticated and modern twist. 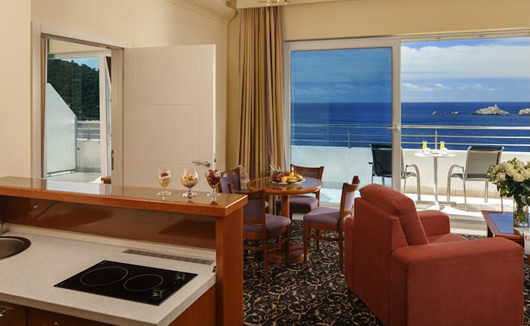 All rooms feture a private balcony, free Wi-Fi, air conditioning, satellite TV, mini bar, safe, hair dryer, complimentary toiletries, bathrobes and slippers.